Central Farm and Garden is a wholesale distribution company located in Wooster, Ohio since 1964. We handle turf & forage seed, agricultural products, wild bird feeding supplies, lawn & garden products, livestock nutrition, professional turf chemicals and supplies as well as seasonal products such as de-icing materials, seed potatoes & onion sets and other seasonal related products. CFG services retailers, landscapers and athletic fields in Ohio, Western Pennsylvania, West Virginia, Northern Kentucky, Eastern Indiana and Southeast Michigan. CFG ships via common freight carriers, UPS and we welcome dealer pick ups as well. Our warehouse & offices, which were constructed in 2000, are conveniently located in Wooster, Ohio and house a product listing of over 10,000 sku’s along with a professional warehouse, office staff and inside sales team. CFG has a fulltime, exceptional outside sales team as well that provides our customers with face to face help and consultation. 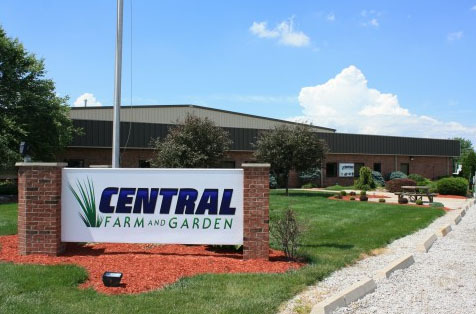 With so many years of outstanding service and experience to the retail and professional community, Central Farm and Garden is a true leader in distribution in Ohio and the surrounding area! Central Farm and Garden's Mission is to supply the independent retailers in Ohio and surrounding states with the best selection of Ag & Garden products supported by exceptional knowledge and service. Learn It...Love It...Live It EVERYDAY!